Even casual observers know that Orthodox Churches traditionally have close ties with the state. So many in the West don’t know what to make of the fact that, in the current conflict in Ukraine, the Ukrainian Orthodox Church appears to be siding with the protesters. The New York Times, for example, reports that protesters running from riot police in Kiev take refuge in a historic Orthodox monastery, and that the Church’s patriarch, Filaret (above), strongly opposes the government. Filaret has stated that Ukraine should look West and join the European Union, and that President Victor Yanukovich, who recently announced that Ukraine would not agree to a long-anticipated trade deal with the EU, should resign. 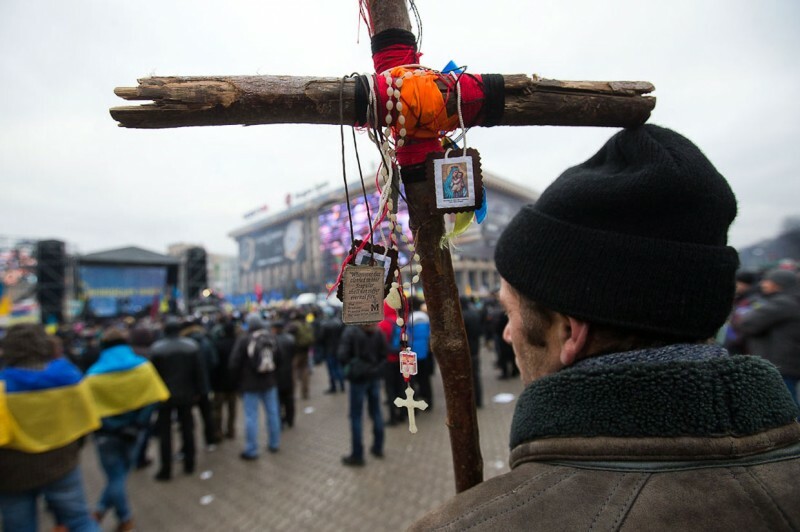 To understand what’s going on, one has to know a little about the divisions within Orthodoxy in Ukraine. Patriarch Filaret is the leader of the Ukrainian Orthodox Church-Kyvian Patriarchate. The Kyvian Patriarchate is in schism from the main body of Orthodoxy in Ukraine, the Ukrainian Orthodox Church-Moscow Patriarchate, which, as its name suggests, is under the jurisdiction of the Russian Orthodox Church in Moscow. The Moscow Patriarchate does not recognize the canonical status of the Kyvian Patriarchate; indeed, no Orthodox Church in the world does. (To make things even more confusing, the Ukrainian Orthodox Church of the USA is under the jurisdiction of neither the Kyvian or Moscow Patriarchates, but the Ecumenical Patriarchate of Constantinople). It’s not at all surprising, therefore, that Patriarch Filaret would support closer ties with Europe and a weakening of Russian influence in Ukraine. He and his flock are likely to have more status and independence in a Ukraine that looks toward the West. This is just another example of how religious and political interests often converge. As Daniel Larison writes, it will be interesting to see if there is now a pro-Russian pushback from those Ukrainians loyal to the Moscow Patriarchate.